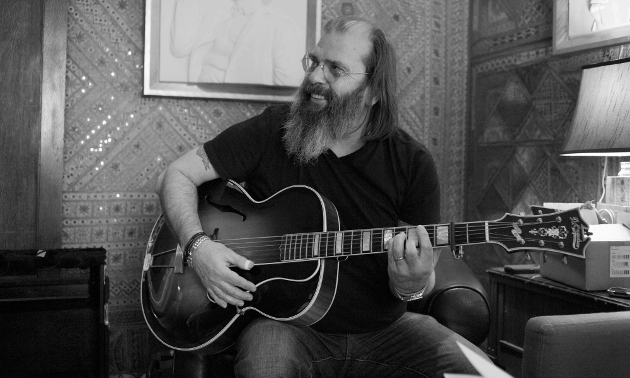 Steve Earle is out there pushing his latest album So You Wannabe an Outlaw? from Warner Bros., and he’s been willing to live up to the Outlaw moniker in more ways than one in the run up and aftermath of the release by calling out just about any artist he decides he’s better than, and throwing more punches than he’s pulling. That doesn’t mean a more Outlaw lifestyle wasn’t apt to find the individuals who fell under the “Outlaw” term, leading to the stereotype. 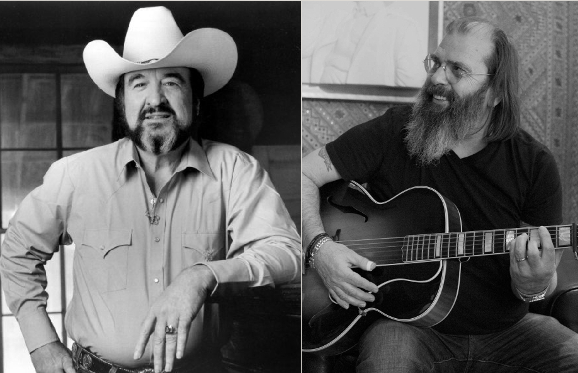 In a recent interview, Steve Earle told the story of how he once found himself on the wrong side of a .357 magnum pointed straight at the back of his head by none other than “Whiskey River” writer and Texas Outlaw country legend Johnny Bush. Johnny Bush appears on Steve Earle’s new record on the song “Walkin’ in LA.” After showing early promise in his career—including playing in Ray Price’s band with Willie Nelson—Bush suddenly lost his voice due to a genetic condition, and never became the nationally-recognized country star his talents probably deserved. Later in life he regained his voice, and has become a revered performer in the Lone Star State and beyond. Steve Earle saw much of the Outlaw era first hand as the young protégé who was just getting his start when the original Outlaws were riding high. Earle would later ply his craft to its most popular peak helping to push his own rebellious movement—the rock-inspired alt-country of the 80’s. But he was there for much of the doings of the Outlaw era, hung out with the legends and saw them in their native element, and it’s good to still have someone around to tell the stories and keep the memories alive. Steve can tell a great story I’ve seen him live a dozen times here in Scotland and despite a bit of a grumpy reputation I like his style and find him interesting and witty. His current album is my favourite of the year so far.Once you get into it and it does take a few listens it just gets better and better. Once you get into it and it does take a few listens it just gets better and better. I agree. I was somewhat underwhelmed by it at first, but it’s grown on me. It’s a lot of fun. So totally off topic but the new Luke single is “light it up” and the “it” is apparently a cell phone. It’s dropping on a weird day though, so we’ll see if it can unseat Sam. You don’t know yhe stranger raiding your kitchen at night? Steve’s lucky Johnny didn’t drop him from 12 yards, let alone twelve inches. Kudos for Johnny’s nerve. And boo on Steve for not knocking first, however the f*** high he was. They didn’t knock because Joe Voorhees had the key to the condo and he thought that Bush was in Vegas. Yeah – they were in Texas. This is really on Voorhees more than Earle. He invited a friend into his boss’s house when he thought his boss was out of state. But I don’t think they were thinking clearly in any case. I sue like Johnny Busia lot. I think Steve survived a lot of loaded guns over the years, including the alcohol and drugs he held in his own hand. He is a treasure, too.